Aromin AR, Galanter M, Solhkah R, Dermatis H, Bunt G. Preference for spirituality and twelve-step-oriented approaches among adolescents in a residential therapeutic community. J Addic Dis. 2008;25:89-96. Becan JE, Knight DK, Crawley RD, Joe GW, Flynn PM. Effectiveness of the Treatment Readiness and Induction Program for increasing adolescent motivation for change. J Subst Abuse Treat. 2015;50:38-49. Belenko S, Hiller M, Hamilton L. Treating substance use disorders in the criminal justice system. Curr Psychiatry Rep. 2013;15:414. Buck JA. The looming expansion and transformation of public substance abuse treatment under the Affordable Care Act. Health Affairs. 2011;30:1402-1410. Bunt GC, Muehlbach B, Moed CO. The Therapeutic Community: international perspective. Subst Abuse. 2008; 29:81-87. Burdon WM, Dang J, Prendergast ML, Messina NP, Farabee D. Differential effectiveness of residential versus outpatient aftercare for parolees from prison based therapeutic community treatment programs. Subst Abuse Treat Prev Policy. 2007;2:16. Butzin CA, Martin SS, Inciardi JA. Treatment during transition from prison to community and subsequent illicit drug use. J Subst Abuse Treat. 2005;28(4):351-358. Cooperman NA, Falkin GP, Cleland C. Changes in women’s sexual risk behaviors after therapeutic community treatment. AIDS Educ Prev. 2005;17:157-169. Covington SS, Bloom BE. Gender-responsive treatment and services in correctional settings. In: Leeder E, ed. Inside and Out: Women, Prison, and Therapy. New York, NY: Haworth Press; 2006:9-24. De Leon G, Wexler H. The therapeutic community for addictions: an evolving knowledge base. Journal of Drug Issues. 2009;39:167-178. De Leon G. The Therapeutic Community: Theory, Model, and Method. New York, NY: Springer Publishing Company; 2000. De Leon G. Is the therapeutic community an evidence-based treatment? What the evidence says. Ther Communities. 2010;31:104-128. De Leon G. Therapeutic communities: today and tomorrow. Presentation to Drugs and Society Seminar, Columbia University, May 2012. De Leon G. Therapeutic Communities. In: Galanter M, Kleber HD, Brady KT, eds. The American Psychiatric Textbook of Substance Abuse Treatment. 5th ed. Washington, DC: American Psychiatric Publishing Inc.; 2015:511-530. Dye MH, Ducharme LJ, Johnson JA, Knudsen HK, Roman PM. Modified therapeutic communities and adherence to traditional elements. J Psychoactive Drugs. 2009;41:275-283. Dye MH, Roman PM, Knudsen HK, Johnson JA. The availability of integrated care in a national sample of therapeutic communities. J Behav Health Serv Res. 2012;39:1-27. Edelen MO, Tucker JS, Wenzel, SL, et al. Treatment process in the therapeutic community: associations with retention and outcomes among adolescent residential clients. J Subst Abuse Treat. 2007;32:415-421. Foster M, Nathan S, Ferry M. The experience of drug-dependent adolescents in a therapeutic community. Drug Alcohol Rev. 2010;29:531-539. Fullerton CA, Kim M, Thomas CP, et al. Medication-assisted treatment with methadone: assessing the evidence. Psychiatr Serv. 2014;65:146-157. Gordon J, Moriarty L, Grant P. The impact of juvenile residential treatment centre on minority offenders. J Contemp Crim Justice. 2000;16:194-208. Greenberg B, Hall DH, Sorensen JL. Methadone maintenance therapy in residential therapeutic community settings: challenges and promise. J Psychoactive Drugs. 2007;39:203-210. Hawke JM, Jainchill N, De Leon G. Posttreatment victimization and violence among adolescents following residential drug treatment. Child Maltreat. 2003;8:58-71. Hendershot CS, Witkiewitz K, George WH, Marlatt GA. Relapse prevention for addictive behaviors. Subst Abuse Treat Prev Policy. 2011;6:17. Hubbard RL, Craddock SG, Anderson J. Overview of 5-year followup outcomes in the drug abuse treatment outcome studies (DATOS). J Subst Abuse Treat. 2003;25:125-134. Jainchill N. Therapeutic communities for adolescents: the same and not the same. In De Leon G, ed. Community As Method: Therapeutic Communities for Special Populations and Special Settings. Westport, CT: Praeger; 1997:161-178. Jainchill N, Hawke J, De Leon G, Yagelka J. Adolescents in therapeutic communities: one year posttreatment outcomes. J Psychoactive Drugs. 2000;32:81-94. Jainchill N, Hawke J, Messina M. Post-treatment outcomes among adjudicated adolescent males and females in modified therapeutic community treatment. Subst Use Misuse. 2005;40:975-996. Martin SS, O’Connell DJ, Paternoster R, Bachman RD. The long and winding road to desistance from crime for drug-involved offenders: the long-term influence of therapeutic community treatment on rearrest. Journal of Drug Issues. 2011;41:179-196. Mattick RP, Breen C, Kimber J, Davoli M. Methadone maintenance therapy versus no opioid replacement therapy for opioid dependence. Cochrane Database Syst Rev. 2003;(2):CD002209. 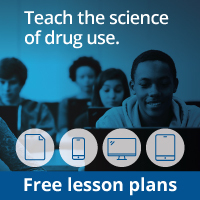 Morral AR, McCaffrey DF, Ridgeway G. Effectiveness of community-based treatment for substance-abusing adolescents: 12-month outcomes of youths entering Phoenix Academy or alternative probation dispositions. Psychol Addict Behav. 2004;18:257-268. Perfas FB, Spross S. Why the concept-based therapeutic community can no longer be called drug-free. J Psychoactive Drugs. 2007;39:69-79. Perry PD, Hedges Duroy TL. Adolescent and young adult heroin and non heroin users: a quantitative and qualitative study of experiences in a therapeutic community. J Psychoactive Drugs. 2004;36:75-84. Prendergast ML, Hall EA, Wexler HK, Melnick G, Yan C. Amity Prisonbased therapeutic community: 5-year outcomes. Prison Journal. 2004;84:36-60. Rivard JC, Bloom SL, Abramovitz R, et al. Assessing the implementation and effects of a trauma-focused intervention for youths in residential treatment. Psychiatr Q. 2003;74:137-154. Sacks JY, McKendrick K, Hamilton Z. A randomized clinical trial of a therapeutic community treatment for female inmates: outcomes at 6 and 12 months after prison release. J Addic Dis. 2012;31:258-269. Sacks S, Sacks JY. Research on the effectiveness of the modified therapeutic community for persons with co-occurring substance use and mental disorders. Ther Communities. 2010;31:176-211. Sacks S, Banks S, McKendrick K, Sacks JY. Modified therapeutic community for co-occurring disorders: a summary of four studies. J Subst Abuse Treat. 2008;34:112-122. Sacks S, Chaple M, Sacks JY, McKendrick K, Cleland CM. Randomized trial of a reentry modified therapeutic community for offenders with co-occurring disorders: crime outcomes. J Subst Abuse Treat. 2012;42:247-59. Sacks S, De Leon G, Sacks JY, McKendrick K, Brown, BS. TC-oriented supported housing for homeless MICAs. J Psychoactive Drugs. 2003;35:355-366. Sacks S, McKendrick K, Sacks JY, Banks S, Harle M. Enhanced outpatient treatment for co-occurring disorders: main outcomes. J Subst Abuse Treat. 2008;34:48-60. Sacks S, Sacks JY, McKendrick K, Banks S, Stommel J. Modified TC for MICA offenders: crime outcomes. Behav Sci Law. 2004;22:477-501. Sacks S, Sacks JY, McKendrick K, Pearson FS, Banks S, Harle M. Outcomes from a therapeutic community for homeless addicted mothers and their children. Adm Policy Ment Health. 2004;31:313-338. Simpson DD. Treatment for drug abuse. Follow-up outcomes and length of time spent. Arch Gen Psychiatry. 1981;38:875-880. Skinner DC. A modified therapeutic community for homeless persons with co-occurring disorders of substance abuse and mental illness in a shelter: an outcome study. Subst Use Misuse. 2005;40:483-497. Smith DE. The medicalization of therapeutic communities in the era of health care reform. J Psychoactive Drugs. 2012;44:93-95. Stevens SJ, Arbiter N, McGrath R. Women and children: therapeutic community substance abuse treatment. In De Leon G, ed. 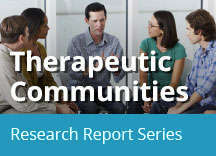 Community As Method: Therapeutic Communities for Special Populations and Special Settings. Westport, CT: Praeger; 1997:129-142. Sullivan CJ, McKendrick K, Sacks S, Banks S. Modified therapeutic community treatment for offenders with MICA disorders: substance use outcomes. Am J Drug Alcohol Abuse. 2007;33:823-832. Thomas CP, Fullerton CA, Kim M, et al. Medication-assisted treatment with buprenorphine: assessing the evidence. Psychiatr Serv. 2014;65:158-170. Vanderplasschen W, Colpaert K, Autriquem M, et al. Therapeutic communities for addictions: a review of their effectiveness from a recovery-oriented perspective. Scientific World Journal. 2013;2013:427817. Vanderplasschen W, Vandevelde S, Broekaert E. Therapeutic communities for treating addicitions in Europe: evidence, current practices and future challenges. European Monitoring Centre for Drugs and Drug Addiction. 2014. Van Stelle KR, Blumer C, Moberg DP. Treatment retention of dually diagnosed offenders in an institutional therapeutic community. Behav Sci Law. 2004;22:585-597. Volkow ND, Frieden TR, Hyde PS, Cha SS. Medication-assisted therapies—tackling the opioid-overdose epidemic. N Engl J Med. 2014;370:2063-2066. Warren K, Hiance D, Doogan N, De Leon G, Phillips G. Verbal feedback in therapeutic communities: pull-ups and reciprocated pull-ups as predictors of graduation. J Subst Abuse Treat. 2013;44:361-368. Warren KL, Doogan N, De Leon G, Phillips GS, Moody J, Hodge A. Short-run pro-social behavior in response to receiving corrections and affirmations in three therapeutic communities. J Offender Rehabil. 2013;52:270-286. Wexler HK, Williams R. The Stay 'n Out therapeutic community: prison treatment for substance abusers. J Psychoactive Drugs. 1986;18:221-230. Wexler HK, Prendergast ML. Therapeutic communities in United States’ prisons: effectiveness and challenges. Ther Communities. 2010;32:157-175.